Unlike many of the previous Crafty Crawls we've run, this one requires you to cover a little more distance. But, as the annual pilgrimage to the Surf Coast gets underway, anyone heading into Geelong will find a fledgling craft beer scene that's becoming fun to explore. Up until recently, it always felt somewhat bizarre that a city so close to Australia's craft beer capital, Melbourne, and home to – or close to – so many small (and not so small) breweries and brewing companies was proving such a tough nut to crack. Add to that the annual Great Australian Beer Festival, which expects to draw more than 5,000 people to the Geelong Racecourse in February again, and the inability of small brewers to tempt venue owners into loosening the ties on their taps seemed something of an anomaly. If, in 2011, someone had said that Geelong would soon be embracing craft beer and, in the space of five years, be host to multiple breweries and venues, you wouldn’t have believed them. Thankfully, Geelong craft beer drinkers are now spoilt for choice. From the tiny Barrabool Hills Brewing Company (home of Cockies beer) through to the might of Little Creatures, Geelong’s craft beer scene is on the up. An easy one hour drive or train ride from Melbourne – or a flight into Avalon airport if you're coming from further afield – Geelong’s bounty is easily accessible. With that in mind, the following is a guide focused on venues and breweries that are all within easy walking distance from the two main train stations in the city. What better place to start your beer journey than at the brewery that has helped ignite Geelong’s beer scene more than any other. A ten minute walk from the South Geelong train station, this former wool mill, close to the Barwon River, was repurposed and turned into Little Creatures’ East Coast base, opening its doors to the public in 2013. 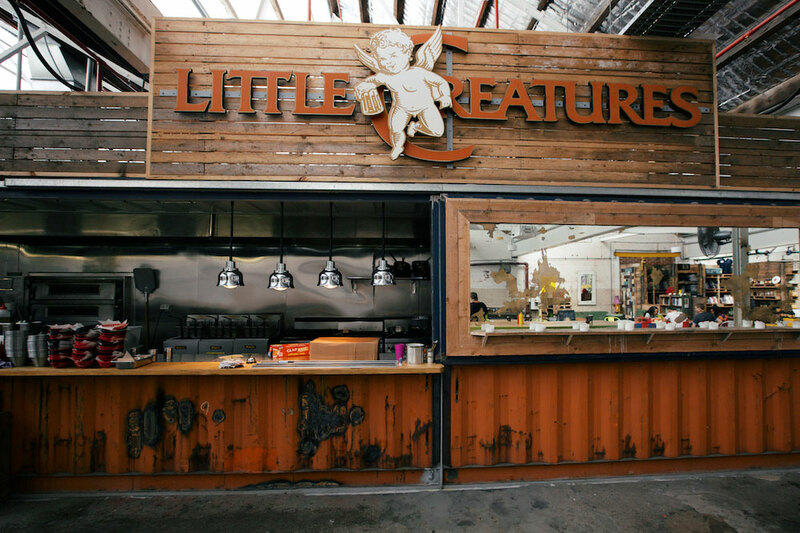 All the old favourites await at what Little Creatures call The Canteen (pictured above), including their iconic Pale Ale and the phenomenally popular beer brewed for the Victorian market, Furphy – a beer inspired by the Kolsch style and brewed using wholly Victorian grown ingredients that already sells in greater volume in one state than almost every individual Australian microbrewery's entire output. If you're wanting something a little different there's usually a couple of their seasonal, limited release or single batch beers on tap, which have so far included everything from a raspberry beer to a gose. There is also a comprehensive selection of beer friendly food to enjoy while relaxing in the spacious and lively surroundings. Barrels mostly filled with liquid that will be blended into Red Ale at White Rabbit's Geelong home. So when we said you'd have to cover rather more distance on this Crafty Crawl, we meant later on. You only need to step across a courtyard between two industrial buildings to go from stop one to stop two here, as Little Creatures' sibling brewery White Rabbit shares the same site. White Rabbit has been a valuable addition to the Geelong drink and food scene since moving from its original Healesville location. Alongside their staples – White Ale, Dark Ale and Belgian Pale Ale – there's a serious focus on barrel aged beers, open fermenters and more experimental/lesser known styles. Foremost among these is the barrel aged Flanders style Red, which they intend to make their fourth core range beer, and the extremely popular Teddywidder, a Berliner Weisse style beer that can be had in its natural state or blended with a fruit based syrup such as blackcurrant or rhubarb. The industrial style venue part of White Rabbit's home offers tall tables and welcoming leather chairs in which to enjoy your beer (and there's an open fire in the colder months). If you're feeling peckish, there's a range of fine cheeses, meats, bar snacks and more hearty dishes to feast on, while the whole space is set up to allow for a spot of self-guided education too; make your way along the barrel lined walls and you'll find boards explaining what happens where and just what each stage of the process contributes to the beers pouring at the bar. 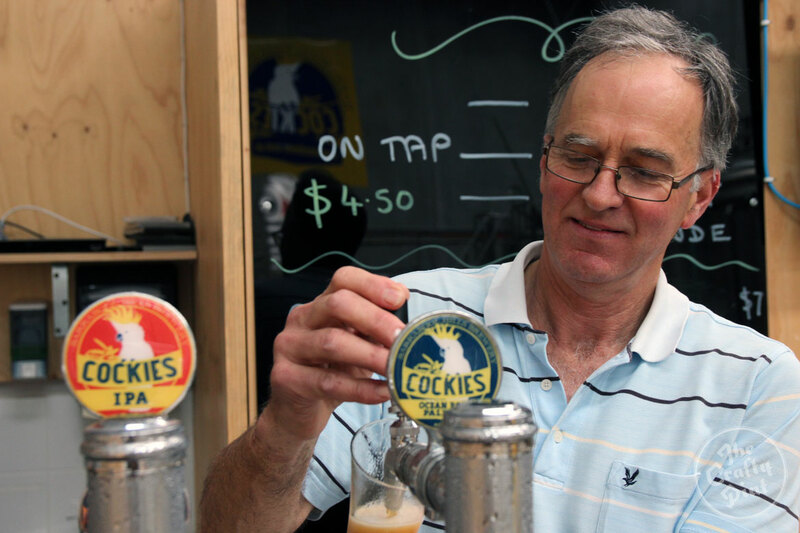 Jamie Roydhouse pulling a pot of one of his award-winning Cockies beers. Just a five minute walk from the Little Creatures site, you'll find the home of Cockies Beer, a brewery that's fast becoming the place to go on a Thursday or Friday night for locals keen on good beer and live music. Founder and brewer Jamie Roydhouse decided to take his hobby of homebrewing – one that he'd been indulging for more than four decades – more seriously, first opening his 1,200 litre brewhouse to the public midway through 2015. Already into his 60s, he figured it was time to have a little fun before the time was passed and it seems to have been a wise move as he collected the 2016 Australian International Beer Awards Best New Exhibitor title. Jamie’s original and gold medal winning beer, Cockies Ocean Road Pale Ale, has been joined by a golden ale and a big and zingy west coast style IPA, which has proven a hit with local hopheads. It's easy to see why he collected the trophy too as the beers are tight as you could wish for; clearly a lifetime of homebrewing hasn't gone to waste! Don’t be surprised to see brewers and workers from Little Creatures and White Rabbit unwinding after a big day of brewing. Also, if you’re lucky, Jamie’s wife will give you a complimentary cheese platter to enjoy with their award winning beers. 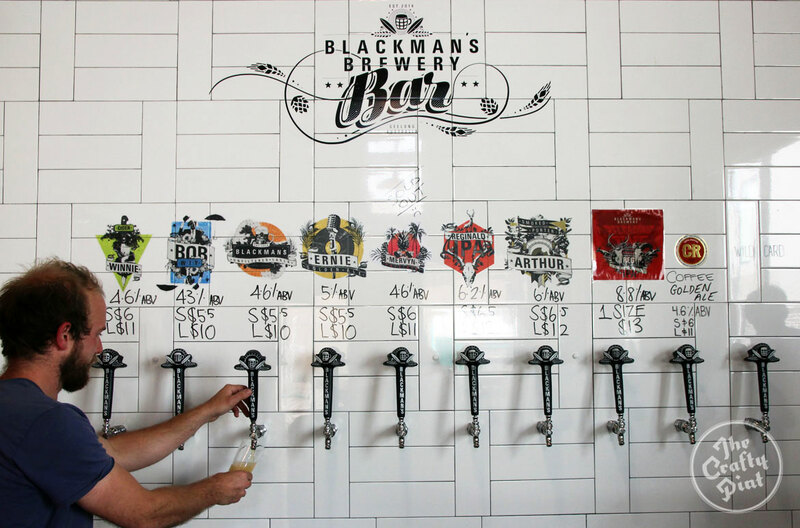 Blackman’s Brewery has been a big hit with locals and visitors alike since opening its doors in Torquay in 2014. Thankfully for inner Geelong urbanites, Renn (pictured) and Jess Blackman have now expanded into central Geelong, opening the Blackman's Brewery Bar less than ten minutes stroll from Geelong train station. You'll find their core range of beers on tap along with a rotating cast of their seasonal/limited batch beers and the occasional guest beer too. A small range of beer friendly snacks is available and, on selected nights, food can be ordered from nearby restaurant The Hot Chicken Project (who also have a couple of taps devoted to craft beer). The bar itself has an intimate, modern industrial feel, with welcoming diner style tables and couches upon which to relax. 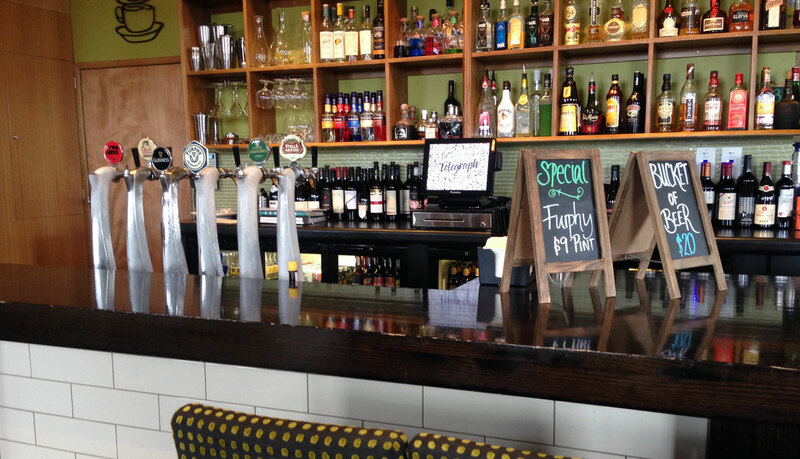 Blackman’s Brewery Bar is a welcome addition to a much rejuvenated part of the Geelong CBD that is now bustling with quality food and drink options. Situated at the start of one of Geelong’s best known foodie destinations, Pakington Street, the Telegraph Hotel or the Telly, as the locals know it, has come a long way since it first opened in 1855. For much of its existence, any many of more adventurous beer offerings being found at the bar would have been almost taboo. But, since Rhonda and Sam Longo took over the running of the Hotel in 2007, things have changed considerably with a contemporary makeover that has included a range of local craft beer being offered on tap and in bottles and cans alongside more traditional selections. Since the start of 2016, the Telly has been holding craft beer tasting nights where beers are matched with (mostly) local produce, in keeping with their philosophy of supporting the local region and its products. While not technically in or near the Geelong CBD area, it would be remiss not to mention the Odyssey Tavern & Brewery, one of the pioneers of the Geelong craft beer scene. Less than five years ago, trying to locate craft beer on tap in Geelong was like trying to find a needle in a hay stack. Enter, in 2012, Grant Byrne and his baby, the Odyssey Tavern & Brewery, located halfway between Geelong and Torquay and home to eight rotating craft beer taps and a strong selection of bottled beer. Guest taps are mostly taken up by local and national breweries' beers, which sit side by side with those belonging to their own brewing company, also going under the name Odyssey. 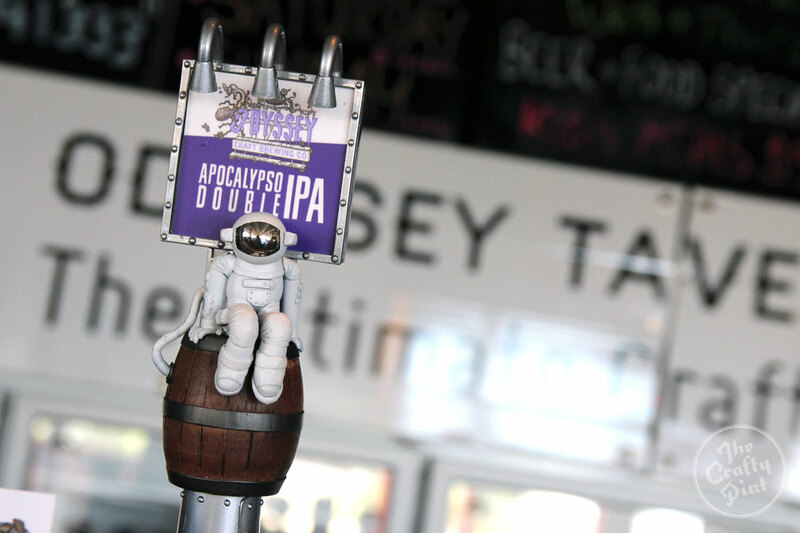 Led by their popular Calypso Pale Ale and now brewed at Barabool, four of the taps pour Odyssey beers, which have included the Beach Ale, Coffee Stout, ESR and many short run seasonals. Complementing the beer is a quality selection of snacks and meals, along with live music several times a month. There's a growing numbers of stores that can help satisfy your crafty needs at home too. 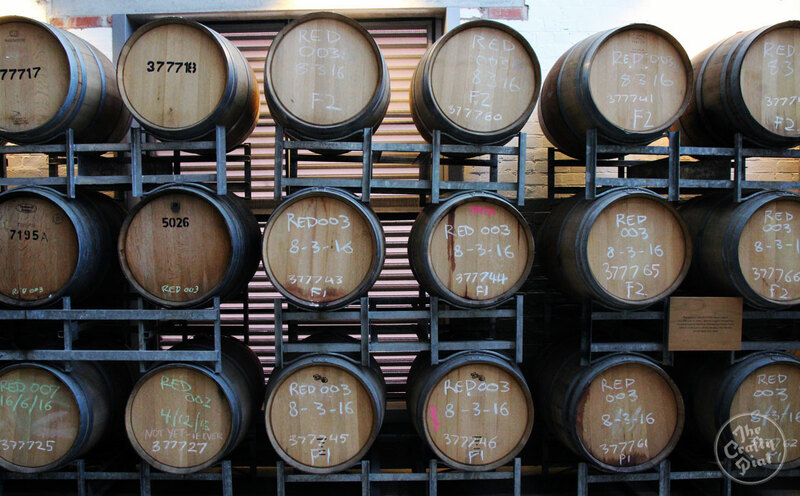 Bottles and Barrels: As per its name, this is a space dedicated to all things wine and beer, selling a range of local and international craft beer at arguably the most affordable prices in Geelong. Located just off Pakington street, a further 2km up from the Telegraph Hotel, Bottles and Barrels is fast becoming the best bottleshop in Geelong for finding more adventurous offerings in both beer and wine. 132 Aberdeen Street, Geelong West. Randall’s: Best known for its quality wine offerings from around Australia and the world, Randall’s has enthusiastically embraced craft beer by increasing the fridge and shelf space dedicated to beer aficionados. Along with many local favourites, the likes of international heavy hitters like Cantillon have been known to make the occasional appearance. 326 Pakington Street, Newtown. Celebrations at Chas Cole: A spacious, all-in-one alcohol store with a large number of fridges dedicated to craft beer. 395 Moorabool Street, South Geelong. You can check out our other Crafty Crawls here and look out for more from across the country appearing on the site each month. About the author: Mark is a writer and craft beer enthusiast from Geelong who sometimes writes a column at www.runnerstribe.com. 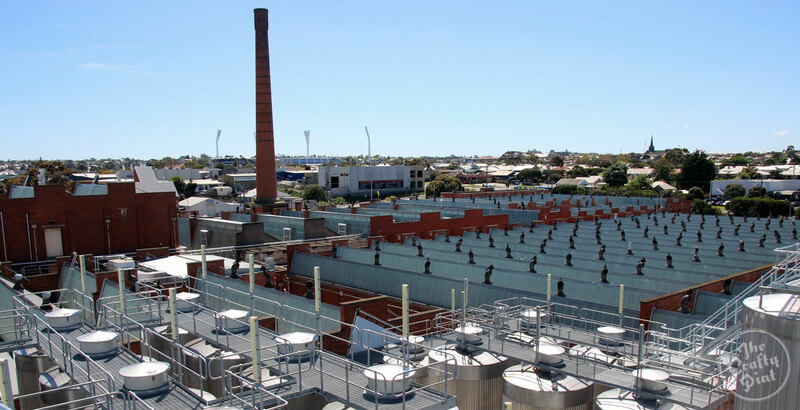 Photo at the top of the article taken from atop the towering new fermenters at Little Creatures Geelong.